“Ladder to the Light” is a finalist for the Oregon Book Award! Well folks I am quite beside myself. I found out last month that my poetry book “Ladder to the Light” is a finalist for the Oregon Book AwardsStafford/Hall Prize for poetry!! This is astonishing and thrilling and I soooo excited to see what new opportunities for learning and growing and meeting new people this brings! I am deeply humbled by this honor and excited to be grouped with so many great writers. If you’d like to learn more about the Oregon Book Awards, click here. The awards ceremony will be here in Portland on Monday, April. It’s open to the public and anyone can attend! Here is the link if you have interest in attending.It might be entertaining just to see the smile plastered on my face for hours on end. February, so short and sweet. Here’s the news! so short yet so mighty! Well I’m staring out the window at a peaceful snow-covered scene here in Portland! It’s a rare snow day and I love how it slows everything down. Here’s hoping you are warm wherever you are! I just have a quick update for you. Oddly, I don’t have shows in February, but I do have lots of fun things to tell you about. So here goes! 1. GRATITUDE…Special thanks to these folks for making January so wonderful: all at BlackRock Arts Center in Germantown, MD, Marc Douglas Berardo and Susie Markland and all the folks at 49 West, Bob & Trisha, Muddy Creek Music Hall, Sarah Siskind, Louise and all at Isis Music Hall, Family Felty, Cat, Eddie and Shalom and all at Red Clay Music Foundry, Niki and all at Lincoln City Cultural Center, Jamie and Tom O & Lisa. My second big piece of news is that Starbucks added my cover of Paul Simon’s “Slip Slidin’ Away” to their coffeehouse playlist!! You can find it here on Spotify, or you can go to one of their stores and sit there until you hear it in person, ha! More great news is that they will be adding “Where I Go” and “Leaving” to their country playlist next month. I will keep you posted. All these songs are from my new album THE LONG ROAD and this is such a great way to get new ears on my music!! Thanks to Jeff Heimann and the 2Jeffs for making the pitch! Speaking of new albums, Ara and I are so close to sending off our new Stand and Sway CD to the manufacturerer! We are now accepting pre-orders for our duo album called DEEP BLUE. If you sign up to pre-order, we will email you a preview track now, and then you will be among the first to receive our new CD when it comes in! We are setting our sites on April or May to have CDs in hand. And we are planning a Portland CD release celebration for June 7, so stay tuned for more info on that! Here is the beautiful album cover featuring a watercolor called “Lost at Sea” by Alexandre Becker-Black, and with special thanks to Malachi Graham for graphic design brilliance! Click here if you would like to pre-order! Oh there are some really fun developments on the teaching front! My friend Suzan Lundy has invited me to lead a week-long songwriting workshop in Guanajuato, Mexico!! I am over the moon excited for this and I can’t believe how lucky I am to be invited. We are working on programming and figuring out other staff as we speak. It is a beautiful location and there will be plenty of time to explore the area as well as focus on creativity. And each person participant will get to make a music video! You can read more about Suzan’s vision for Crossing Borders International Songwriting Retreats here… I hope you will consider joining us! Also on the teaching front, I had a great planning session with the amazing Sarah Siskind for our Songsmith Gathering Song School in beautiful Brevard, NC in May! Our song school is a day and a half and takes place right before the awesome Songsmith Gathering songwriters festival held at the Brevard Music Center. Check out Songsmith here! And finally, one of my dreams has come true. I got a dog!! I’m sure you have all been wondering when this dog crazy lady was gonna get her own dog! I have been searching and dreaming and hoping for many months now, and I am so happy this sweet spirit has come into my life! So everyone, meet Bailey!! And please forgive me for the tons and tons of dog pics I’m gonna share from here on out, but I can’t help it. 🙂 Bailey is a 10 year old chocolate lab and her person had to move overseas for work. Ara found her listing on Craigslist and I knew from the minute I saw her that we were supposed to be together! Her favorite things are balls, food, and snuggles… in that order. Her full name is now Fetchin’ Bailey Snuggle-Pants Wood. She has wonderful manners and her person did such a great job teaching her how to be a good dog. Bailey has already been on one road trip to Lincoln City as tour manager with Stand and Sway, and she has a very nice laid-back management style. (Thank you to Tom O and Lisa for opening your home to us so she could come with us!) My heart is bursting! 3. UPCOMING SHOWS… none in Feb… but here’s some in March! check out my website for more spring shows!! Oh man I had so much fun at Blackrock Center for the Arts! Thanks to my buddy Dominic Cicala for sharing some great pics! and then we had a blast at 49 West in Annapolis, MD with Marc Dougals Berardo and my buddy Bob Klein! Amen, Muddy Creek Music Hall! Oh the harmonies wtih Sarah Siskind…I have chills just thinking about it! We loved playing at Isis Music Hall in Asheville! we mighta had a little fun back stage! Singing it to the rafters, y’all! haha nice poster! What a great night we had at Lincoln City Cultural Center! and the next night at Doverlaff House Concerts tiki lounge was EPIC. she’s supervising some beach time in Lincoln City. 2019 is here and there’s lots of newsy news! Thank you to for the awesome photo! Greetings, friends and fellow music lovers — and happy new year! I love this time of introspection and reflection, and I’ve been doing my share of staring at the fire in my jammies. 2018 was an incredible year, and I can’t wait to see what this next year has in store for us all! While I’m still working on my vision board for 2019, I want to tell you about some things coming right up. As always I hope you’ll scroll down for show details, musings, random photos, gratitude and news! 1. GRATITUDE. December was quiet on the touring front, but I am so grateful to all who came out and supported our holiday benefit shows in Eugene and Portland! The Caldera Songwriters and Tsunami Books and the generous people of Eugene raised over $1650 and truckloads of warm things for Egan Warming Centers. And in Portland all of the songwriters and the generous Artichoke folks raised $800 for non-profit Artichoke Music and overflowing bins of socks and warm things for Transition Projects. These two nights resonated with the warmth and generosity and kindness of people who truly care for others, and it left my heart soaring all the way into the end of 2018. Special thanks to KLCC and Dan Plaster, the Eugene Weekly, KRVM, and Steve & Debbie! 2. THE NEWS. The big news around here is a shift of focus for 2019. I am so excited about my new duo project called Stand and Sway with Ara Lee James, and we are both excited to shine a light on this work in the new year. I will still be doing my solo work, but I will be putting lots of energy into this new duo project. Ara is a one-of-a-kind friend, musician, human, and Voice and ⁮I am so grateful for this amazing alchemy we have discovered when we merge our musical selves! We recorded an album called DEEP BLUE with the great Steven Tracy at Saint Cecilia Studio here in Portland, and we are getting the artwork together as we speak so that we can do a late spring release! We will be touring regionally and playing festivals and developing workshops and going where the energy is. We were fortunate to get to make a video over at Ear Trumpet Labs last month, and we also got to make two videos at the Rye Room Sessions with poet-goddess Anna Tivel as our special guest. I will share those as soon as they are out! Here is a little preview of a song off the album and our website. We’ve got some really excited shows coming up, and we are still busy making plans. Holler if you have ideas! Other news involves a new studio space here in Portland! In January, Ara and I will each be offering private lessons from our new studio space at Mt Tabor Music School! I would love to work with you on songs, dynamics, delivery, singing. And I can do Skype lessons if you don’t live here in Portland! Please reach out if you are interested or have questions at bethwoodmusic [AT] hotmail.com. My new album THE LONG ROAD is out there soaring in the world and I’m so grateful to The Press House, 2Jeffs on Music, and Bill Wence Promotions for helping it fly! The radio campaign is just gearing up and we are focusing on non-commercial, Americana and roots, and smaller country stations. Also I’m so excited that three songs have been picked up by Starbucks and will be played in their retail stores – hopefully starting in January. I will keep you posted on that! You can listen here on Spotify and download at iTunes and Amazon, and if you’re like me and you like holding a CD in your hand, you can order one here! I’ve been working hard with my friend the great Nathan Brown from Mezcalita Press on my new book FACEPALM: Scenes From the Merch Table! I’m serious, y’all… I really did write these stories down and I’ve had the best time doing it! I’m excited to work with Jen Blair again on the design. Jen did the design for my Ladder to the Light poetry book and I just loved how that turned out. This one will of course be more whimsical and fun…check out one of her illustrations she sent me, ha! This month I’m excited to do some east coast shows! I will be visiting BlackRock Center for the Arts in Germantown, MD for the first time for a solo show. Then I’m stoked to get to share an evening with Marc Douglas Berardo in Annapolis! After that I will be doing a few shows with Sarah Siskind to help spread the word about the Songsmith Gathering songwriters festival in Brevard the song school that we started there last year! We will be back in mid May for another Songsmith Song School with more workshops, song circles, community building through song! I hope you’ll come see us in Winston-Salem, Asheville or Duluth, GA! (Now listen up, Atlanta peeps. I know Duluth is outside the perimeter, and it defies all logic to drive that far, but it is one of most beautiful venues I have ever stepped foot in and I have seen A LOT of venues! I promise you this evening will be worth the drive!) And to wind the month down, Stand and Sway will be playing at the Lincoln City Cultural Center and here in Portland at one of the most fun house concerts ever – Doverlaff! 3. JANUARY SHOWS…life is so uncertain, please call ahead! Thu, Jan 17 – BlackRock Center for the Arts – Germantown, MD.12901 Town Commons Drive. BlackRock Center for the Arts brings inspiring performing and visual arts experiences to diverse audiences in a welcoming and intimate setting, providing opportunities to explore, celebrate and engage in the arts. Join us for 3rd Thursdays (Singer & Songwriter) Series! $25-$35. 7:30 pm. Fri, Jan 18 – 49 West Coffeehouse & Listening Room – Annapolis, MD. 49 West brings art, music, and community together with great food and drink in an ambiance inspired by the traditional European coffeehouse. Reservations are strongly recommended, so please call us at 410-626-9796. Co-bill with Marc Douglas Berardo! Tickets $20. Limited seating. Make reservation: http://49westcoffeehouse.com/contact/ 7:30 pm. Sat, Jan 19 – Muddy Creek Cafe & Music Hall – Winson-Salem, NC. 336-972-8623. 5455 Bethania Road. BW teams up with Sarah Siskind for a Songsmith Gathering preview show! All ages show $20 advance/$25 door. 8 pm. Sun, Jan 20 – Isis Music Hall – Asheville, NC. EARLY SHOW! 743 Haywood Road. 828-450-5385. Join us at west Asheville’s favorite listening room for an evening of story, harmony and song with BW and Sarah Siskind! $12 adv/$15 at the door. 6 pm. Fri, Jan 25 – Red Clay Music Foundry – Duluth, GA. 3116 Main Street Duluth, GA. 404-478-2749 . Eddie Owen Presents: Beth Wood and Sarah Siskind at the Red Clay Music Foundry. Eddie Owen Presents is the songwriter’s best friend. It is a music venue, music school, and a home away from home for a performing songwriter and their fans. We are based in Duluth, Georgia at Red Clay Music Foundry – a 260-seat listening room that hosts the most talented musicians on the planet. 7pm doors, 8 pm music. $20 in advance/$25 day of show. 8 pm. Thu, Jan 31 – Stand and Sway @ Lincoln City Cultural Center – Lincoln City, OR. 540 NE Hwy 101. Along Oregon’s central coast, Lincoln City Cultural Center invites all ages through its doors, with offerings of creative classes, activities, exhibits and events that are designed to enrich the Lincoln City community and to celebrate the artist in each of us. LCCC is a center for learning, with gallery exhibitions, dance and musical performances, poetry readings, film festivals, and other entertainment for all members of the family. BW is delighted to return to LCCC, this time with her duo project Stand and Sway, with Ara Lee James. 7 pm. All ages welcome. Sat, Feb 2 – Stand and Sway @ Doverlaff House Concerts – Portland, OR. 7326 SE Woodward St. Stand and Sway (BW and Ara James) duo show! Doverlaff House Concerts is a beloved intimate house concert series hosted by Dan & Cheryl in their listening room basement, aka The Tiki Lounge. Join us for an evening of story, song, stomping, laugther, and powerful voices! $20 suggested donation. Please email or call Dan for info at dan [AT] doverlaffhouseconcerts.org or 503-730-3189. 7:30 pm. Oh how it warms my heart to remember this night at Tsunami Books. The Caldera Songwriters and the good people of Eugene ushered in the holiday spirit with warmth, generosity and laughter. and thank you Dan Plaster for having us on your show The Front Porch on KLCC! love this pic from the grand finale at Artichoke Music’s holiday concert. Elizabeth Campbell always takes such beautiful photographs and manages to capture the spirit of the moment! Oh what fun we had with our family music workshop at the St Johns Racquet Center! My friend Bob Howard created the music program there and invited me to be a part of the fun! We sang and played together and ate some of the most delicious home cooked food I’ve ever had! and OMYGAWD aren’t these the cutest chairs ever?! Welcome to our new studio! and we had such a fun photo shoot with the amazing Michelle McAfee! Ara had always loved this little space at Woodlawn Coffee and they were gracious enough to let us fool around out there. The sun was out for just the right amount of time and it was so magical and fun! here’s Michelle working her magic… thank you SO MUCH, Michelle! and ohmygosh I love these! Ok let’s be honest, y’all. This is how I was feeling when December came around. 🙂 Thanks to my buddy Murray for the sweet snuggles and thanks to Shannon for letting me love on this little nugget. You can follow Murray on instagram @murraythepittiepup ! 4. THE FUTURE… Often times when thinking about the future, I see where I want to go but I can’t really see how to get there. Part of my work has been trusting that the ‘how’ will reveal itself in time. So the future for me in 2019 looks like this: envision, attract, allow. I don’t want to push, I don’t want to force. I want to work hard and go where there is energy for the work I’m doing. So here’s to new beginnings and cheers to the new year! December Newsy News and New Album release! Did somebody say gather round the fireplace?? BIG NEWS…New album, duo project, December benefit concerts, and I am now offering one-on-one lessons/coaching in Portland and beyond! Scroll down for details! 1. GRATITUDE…Um, wow. I look at the November calendar and can’t believe all the delicious stuff that happened! Big thanks to all of these folks for making it possible: Paul & Fran and friends, Ray Lewis and Jacksonville peeps, Misti OP and family and Five Elements School of Acupuncture, Todd & Kiaralinda and all at SHAMC, Ara James, Milo Fultz, Paul Brainard, Steven Skolnik, Bre Gregg and all who came to support our CD release at Alberta Street Pub, Eric Alan, Tom Titus, Halie Loren, Gentle Thunder, Scott Lanfield and all who came to the Gratitude Event and CD release at Tsunami Books, Tim and all at Anderson Fair, Tom Faulkner, Pat and Gary and everyone involed in Alapalooza at the Epic, Betsy and all at Medical Center Lewisville Black Box Theater, Ted Vahovius, Jeff and Judy and all at the Old Firehouse, and Phillip, Malachi and Grendel at Ear Trumpet Labs! Well, the biggest news is the official release of my new album THE LONG ROAD! After a year of waiting and preparing, it is finally free to fly! I could not have done it without my amazing Kickstarter supporters and my team of creative mischief-makers – chief among them Tyler Fortier, Matt Greco and The Rye Room studio. I’m so excited to share this music with you! If you are someone who listens to CDs, bless your heart! You can order one here and I’ll send it to you! If you are someone who likes to download albums, thank you! You can find it here on Amazon and iTunes. Other big news is that while I hold space for the new album to grow and expand, I am excited to shift my attention to the duo project that Ara James and I started called Stand and Sway! We recorded an album this summer and we are planning to release it in the spring. We will be playing regional shows and festivals, and we are in the process of developing workshops we can offer together. Something truly magical happens when we co-create, and I can’t wait to share that magic with you and the world! I am so excited to share that as of Dec 1, I will have a studio space in Portland where I can offer lessons, work, write, and dream while staring out the window at Mt Tabor! Ara and I were so excited to meet Sarah Collins at Mt Tabor Music School to talk workshop possibilties, and it turns out that she had a space open at the school that needed someone to fill it with music and creativity and conversation. Starting this month I will begin offering lessons and song coaching sessions! 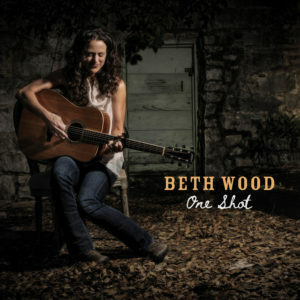 If you are in Portland and have interest in exploring guitar, voice, performance, songwriting, and/or music making, please reach out to me at bethwoodmusic@Hotmail.com. And if you are not in Portand and you have interest, I am open to doing Skype lessons, and I find it to be quite fun and enjoyable! And finally I am thrilled to be a part of two very special holiday concerts/fundraisers. Many years ago, the Eugene Caldera Songwriters started our annual holiday concert at Tsunami Books to celebrate the season and raise money and warm things for Egan Warming Center. This event means so much to me for so many reasons, and I hope you will join us on December 14 for an evening of fun, music, community, yummy treats, and giving back! Egan Warming Centers provide crucial and necessary shelter to all when the temperature drops below freezing in Eugene/Springfield. The dedicated volunteers and staff work so hard and we are so honored to lend our voices to this event. Scroll down to the tour dates section for show details…Here’s the beautiful flyer created by Laura Golden! In my new hometown of Portland, I’m thrilled to host the Artichoke Music holiday concert and sock drive on December 15! We will celebrate in song and community to support Artichoke Music’s non-profit mission and we will be collecting warm socks for Transition Projects, a Portland organization and leader in transitioning people from homelessness and living on the streets into housing. Details below and here is our beautiful flyer created by Alexa McDonald! 3. TOUR DATES…Life is so uncertain, please call ahead! Fri, Dec 14 – Eugene Calders Songwriters Holiday Concert and Benefit for Egan Warming Center – Eugene, OR. 2585 S Willamette St. 541-345-8986. Hosted as a love offering to the community by Tsunami Books. Eugene Caldera Songwriters is an informal gathering of songwriters who met and have connections to the Sisters Americana Song Academy, held at Caldera. Each December we gather to celebrate, sing a few songs, eat too many cookies, and come together as a community to raise funds and warm things for the Egan Warming Center, a program of St Vincent de Paul. A requested donation of $5-$20 all goes directly to Egan Warming Center. No one turned away for lack of funds. Donations of clean warm clothing and toiletries gladly accepted. Performers include BW, Laura Golden, Kathy Marshall, Cross Current, Anna Tivel, Jeffrey Martin, Still Thinking, John Shipe, Paul Neville, Annie Heron, Stacy Henley, Grisha Stewart, Barbara Turrill, Katie Sontag, Dave Taylor, Julia O’Reilly. 7:30 pm. Sat, Dec 15 – Artichoke Music Holiday Concert and Sock Drive for Transition Projects – Portland, OR. 503-232-8845. 2007 SE Powell Blvd. Join us for this holiday concert and fundraiser/benefit! We will be raising money for non-profit Artichoke Music and a sock drive for Portland’s Transition Projects, a leader in transitioning people from homelessness and living on the streets into housing. Featuring Beth Wood, Megan Cronin & Chris Baron, Ed Haynes, David Gross, Halelupe, Gary Furlow and Alexa MacDonald. Please bring one pair of warm winter socks to be distributed through the good works of Transition Projects. In this turbulent time, we will celebrate community, peace, and healing. Come celebrate with us! $15. 8 pm. Ohmygosh, the Safety Harbor Art and Music Center is so whimsically wonderful I can barely manage to put it into words! This pic only captures a tiny piece of all the fun! I was so excited to see Sandhill Cranes on my morning run in Sarasota..woop! The whole crew at my CD release party who played their hearts out and made it one of the most fun nights in the history of ever! Thank you Ara James, Bre Gregg, Milo Fultz, Jeffrey Martin, Steven Skolnik and Paul Brainard…you rock! Right after the wonderful, heart-filling gratitude event in Eugene, we realized we were all color cooridnated. 🙂 It was SO incredibly fun to sing and play with Halie Loren (left) and to hear the moving poetry of Jorah LeFleur! Here’s me and Tom Faulkner yuckin it up before our Anderson Fair show in Houston…what a blast! Here’s most of the whole musician crew at Alapalooza in Grand Prairie! It was wonderful to celebrate the life and legacy of Al Johnson and to help raise money for a scholarship in his name! Al’s wife Pat Johnson came in right as Tom and I were singing a Beatles song and she sang right along! Um….whaaaaaaaat? The city of Lewisville rawks! I love the beautiful stage at The Old Firehouse in Edom! And this is their house keyboard player. He is super solid. I named him Spot On because his chops are so good. And how I forget to share this photo of sweet Tucker in Gainesville, FL? You can’t tell from this pic but he weighs about 90 pounds of solid muscle and he is tbe biggest softie I’ve ever met! this is Dakota Jackson rolling his eyes at me and Tucker. And this is sweet Yoda who lives in Edom! You won’t believe how cute and enormous his ears are but he was too shy to show you. And finally, if you are in Portland and need a dog sitter or dog walker, holler at me. 🙂 bethwoodmusic@hotmail.com. Ya never know, your four-legged friend could make it into my newsletter! Apex Music Festival rescheduled for Oct 27! Hello, friends. Well sadly the Apex Music Festival in NC has had to cancel due to Hurricane Florence. It’s a heartbreaking call to make but certainly the right one. May everyone stay safe. The good news it that the festival promoters have rescheduled for October 27! BW’s set time has not been announced yet, but please stay tuned to our Facebook page, Twitter or better yet, our email list and we’ll let you know everything as soon as we know it. and I’m ready for a whole heap o’ awesome. Greetings, friends and fellow music lovers – I can’t believe summer is on its way out. But the good news is there are some really fun things coming up in September. Here’s what’s happening…as always I hope you’ll scroll down for gratitude, the news, show details, and random pics and musings. 1. GRATITUDE. I am so grateful to all these wonderful folks for making my summer so awesome! To Chuck McDowell, Eddie Owen, Wyatt Easterling, David Robert King and everyone at the Red Clay Music Foundry; to James and Karen Casto and Tony Arata the Home By Dark family; Mary Beth Camp; Nathan and Amanda and Nola and Finn and all at the Harris Bridge Folk Festival; and Mike and all at the Bellevue Downtown Association...THANK YOU ALL for making it possible for me to make my living making music! 2. THE NEWS. What a magical time we had at the Harris Bridge Folk Festival! The magic of the breathtaking natural surroundings was amplified by all of the beautiful people who came to support the event and listen among the vines and old trees. It is such a special place and I feel so lucky that Nathan and Amanda and their family share it with us! Click here for little taste of our acoustic concert among the trees I got to do on Saturday morning with Karl Smiley. It’s festival season, y’all and I could not be more exicted for Art in the Pearl, Sisters Folk Festival, Americana Song Academy, and Apex Music Festival coming up! Art in the Pearl is a FREE festival in Portland’s park blocks, and the musical offerings are delicious! Sisters will be EPIC as usual, and I’m thrilled to be playing a duo set with my friend David Stoddard. I can’t wait for y’all to hear Dave! And then of course we will get into all kinds of musical mischief on Sunday morning at the community celebration. It is free and open to the public and starts at 10 am at the Village Green park! This will be my first time at the Apex Music Festival in NC and I could not be more excited. My friend David Sardinha, who used to run the Six String Cafe in Cary, is now curating the Apex Music Festival and I was so honored that he invited me to play! If you are anywhere near the triangle I hope you will come join us! All day passes are only $15. Check out their awesome poster! Speaking of the Queen, check out this song we did at the Home By Dark show…getting to sing with Vanessa Conner and Carole Ford is a dream come true! And finally, a call to action: is there anyone in northern California who might be interested in hosting a house concert on Friday, Oct 5? I will be in the area playing in Palo Alto, Oakland, and Temeculah, and I’m looking to fill that date with a lovely house concert. Also I’m looking for a southern California house concert on Sunday, Oct 21. Holler at me at bethwoodmusic [AT] hotmail.com if you have any ideas?? Thank you in advance! 3. SEPTEMBER SHOWS…Life is so uncertain, please call ahead! Sat, Sep 1 – Art in the Pearl Festival – Portland, OR. Art In The Pearl®, Portland Oregon’s annual Fine Arts & Crafts Festival, occurs every year on Labor Day weekend. The 22nd annual festival will occur Labor Day Weekend, 2018 in the Pearl District’s North Park Blocks – September 1-3, 2018. The Festival is FREE and requires NO TICKETS for entry. Art In The Pearl has been named one of the top 10 Arts and Crafts Festivals in the country (source: Art Fair Source Book). Our festival fills the Northwest Portland Park blocks with art, theater, music, and hands-on activities for people of all ages. BW plays the singer-songwriter stage at noon! Tue, Sep 4-Fri, Sep 7 – Americana Song Academy – Sisters, OR. The Americana Song Academy inspires people to believe in their creativity and helps develop a community that supports that pursuit. Artists performing at the Sisters Folk Festival arrive 4 days early to teach all aspects of music, songwriting, performance and singing. Participants deeply engage and nurture their music, songs, and aspirations. Private concerts, open mics and mentor sessions are all part of the experience. The musical alchemy of the festival artists from “Song Camp Campers participate in workshops, communal meals and activities at the performing arts camp “Caldera”, a stunning location on the edge of Blue Lake, high in the Cascade Mountains. With an extraordinary caterer, a beautiful and powerful location, and a unique, intimate experience, the event continues to be highly anticipated and sells out each year. BW is honored to be a part of ASA as staff director. Sat, Sep 8 – Sisters Folk Festival – Sisters, OR. Sisters Folk Festival, Inc. is a 501(c)(3) non-profit organization, founded in 1995 to bring the finest in acoustic music to the charming town of Sisters, Oregon. Over time, it has developed into a year-round cultural-arts organization that supports local schools with extensive community engagement. Sisters Folk Festival is a three day, multi-stage celebration of roots music and community, and BW’s favorite festival EVAH! BW will be playing a duo set with the great David Stoddard! 7:30 pm at The Open Door stage. Sun, Sun 9 – Sisters Folk Festival – Sisters, OR. BW is honored to host the community celebration at the Village Green stage on Sunday morning at 10 am. The communuity show is FREE and open to the public! Sat, Sep 15 – Apex Music Festival – Apex, NC. Produced by Six String Presents. The Apex Music Festival will be held Saturday, September 15, 2018, in beautiful Downtown Apex, NC. Hosted by the Apex Downtown Business Association, the purpose of the festival is to increase awareness, support, and funding for the continued beautification and revitalization of Downtown Apex and to provide support and funding for Guardian Angel Thrift. Now in its eighth year, the Apex Music Festival attracts thousands of fans to historic Downtown Apex, NC to enjoy live music, street vendors, food trucks, beer and wine and an eclectic mix of shops and restaurants. Three outdoor stages and one indoor theater will host a variety of acts from local, regional and national performers from many musical genres, including Rock, Folk, R&B, Blue Grass, Country, Pop and Americana. With Shawn Mullins, Johnny Folsom 4, David Lamotte, Brass-a-holics, Johnny Orr Band, Nick Driver Band, Lorraine Jordan and Carolina Road, The Gravy Boys, The Willies, Laurincole, Joe Sax, Malcolm Holcombe, Cooper Allen, Michael Reno Harrell, Chuck McDowell, BW and more! BW plays at 4:30 pm at the Temple Street Stage. Fri, Sep 21 – Doug Fir Lounge – Portland, OR. 830 East Burnside. Opening for Carbonleaf’s 25 anniversary tour. 7 pm doors, 8 pm music. $20 in advance/$25 at the door. 7 pm doors, 8 pm music. Sat, Sep 22 – The Crocodile – Seattle, WA. 2200 2nd Avenue. Opening for Carbonleaf on their 25th anniversary tour. $25 in advance/$30 at the door. 7:30 doors/8:30 music. Sun, Sep 23 – The Triple Door – Seattle, WA. 216 Union Street. Opening for Carbonleaf on their 25th anniversary tour. Seated show. $35 Advance // $38 Day of Show // $42 Front Rows $30 Standing Roon Only once seats are sold. Doors open and dinner service begins 90 minutes prior to showtime. All Ages. Fri, Sep 28 – HPPR Living Room Concerts – Garden City, KS. Held at HPPR Studios 210 N. 7th Street. HPPR’s Living Room Concert series provides an intimate, live-music experience for both our listeners and our featured performers. Hosted by the station as a community service, admission is a $15 suggested donation, which goes directly to the artist(s) being showcased. If you’d like more information on HPPR’s Living Room Concerts, or if you’d like to volunteer or host a show, please contact Music Director Jenny Inzerillo at 806-367-9088 or events [AT] hppr.org. All ages welcome. 7:30 pm. Sat, Sep 29 – Last Minute Folk Series – Topeka, KS. 720 Jackson. Held in the beautifully renovated gallery space of the Jayhawk State Theatre, Last Minute Folk presents shows in a true listening room setting, offering exceptional acoustics and concert style seating. The stage and sound system are arranged without restriction to sight lines and no seat in the house is more than 40 feet from the stage, adding to the intimacy of the performance. The evening consists of two 45-minute sets of music with an intermission to provide an opportunity to enjoy refreshments and interact with the musicians. Tickets are $20, available online at www.lastminutefolk, at www.jayhawktheatre.org or at the door. Refreshments at intermission will be provided by the AFS International Student Exchange Program for free-will donation and proceeds go to AFS Student Programs. Shows begin at 7pm and doors open at 6:30pm. I had so much fun playing piano..thanks Nathan for the request! Ohmygawd I love Tucker so much. You can see he is very excited about our photo. We took a long walk and then I gave him a water cookie…he’s not impressed. These are my favorite knuckle-heads in Georgia!! It’s a 24-hour love fest at Dora and Peabody’s house! I met Poppy at Dan & Cheryl’s party. She’ my new favorite pint-sized cutie. 4. THE FUTURE…Ah yes, it will be a busy fall singing those tunes from the new album near and far! I’m excited for some shows this fall in CA, OR, TX, FL, and hopefully more to come. I’m having a blast writing more chapters for my next book, a series of short rememberances from the road called “Face-palm: Tales from the Merch Table” and hoping it can become a reality soon! THANK YOU for reading and listening and cheering me on all of these years. I am so incredibly grateful for you. Hope to see you out there on the road! August Newsy News is here! Dog days of summer are here. Wow, what a ride this summer has been so far. And it won’t slow down any time soon! Here’s what’s happening. As always I hope you’ll scroll down for the news, gratitude, random musing and photos and show details. 1. GRATITUDE…BIG THANKS to all these generous folks for helping make July so epic: Courtney & Michelle and all at Big River Music, Bob Hemenger, The Wood Pile (Woods, Hurts, Howes, Audlins! ), Ocea and the Skyhorse family, Mike Midlo and Janis Carpenter and all at Fishtrap, East Fork Brewery, the great David Stoddard, Pat & Bruce, Chris & Annette, Betsy & Eric, Pete and all at Acoustic Fest, and Ron & Jackie. 2. THE NEWS…Well the big news is that we finally have a release date for the new ablum THE LONG ROAD, woop!! The official release will be on October 26, and we will be working the the awesome folks at The Press House to get the word out far and wide. There will be a three month ramp up to the release in which we will release singles and reach out to local, regional and national press, radio, Spotify, and all the other places music goes that I don’t understand. (ha!) The Press house has gotten great results for many of my musical co-horts so I am feeling really excited about working with them. My Kickstarter supporters were vital in helping me get take this next step so THANK YOU! I am SUPER excited to return to Georgia for two nights with my favorite concert series, Home By Dark!! If you have never seen two songwriters backed by the most amazing band on the planet under a pavillion at a horse farm on a summer evening with fireflies glowing in the background, I highly recommend it! Can’t wait to play with James Casto and friends again – it is pure magic every time! And I’m also excited for my first time at the Red Clay Music Foundry in Duluth (started by Eddie Owen of Eddie’s Attic fame) with the Wednesday writers in the round show hosted by Chuck McDowell! Other great news is the wonderful festivals coming up…my cup runneth over! I am so honored to be a part of the very first Harris Bridge Folk Festival at the beautiful Harris Bridge Winery outside of Corvallis. These wonderful folks hosted the eclipse weekend last summer and it was so delicious and fun! The setting is breathtaking and the community is so welcoming. It’s an amazing line-up with Jeffrey Martin, Anna Tivel, Paper Wings, Tyler Stenson, and Mandy Fer & Dave McGraw. You can come and camp all weekend or come for a night – I hope you’ll join us! Click on the poster below for info..
I’m excited to return to the singer-songwriter stage at the Art in the Pearl festival in Portland on labor day weekend! The festival is free and open to all ages! And before we know it, the beloved Sisters Folk Festival and Americana Song Academy will be here!! This year is especially exciting since the festival was canceled due to wildfires last year. We are all ready for a do-over! The line-up is off the charts amazing, and I am so honored and grateful to be a part of this amazing community! And right after Sisters, I’m thrilled to be heading east for my first time at the Apex Music Festival in NC. Produced and curated by Six String Presents, the killer line-up includes Shawn Mullins, David Lamotte, Eliot Bronson, The Willies, Malcolm Holcombe, and many more. This event benefits Guardian Angel Thrift to assist them in their mission to support Alzheimer’s research, so it’s a win-win! 3. SHOW DETAILS…Life is so uncertain, please call ahead! Wed, Aug 1 – Wednesday Writers’ Night at the Red Clay Music Foundry – Duluth, GA. 3116 Main Street. 404-478-2749. BW is honored to be a guest at Wednesday Writers’ Night at the Red Clay Music Foundry hosted by Chuck McDowell and featuring national and local, touring songwriters! With Wyatt Easterling and David Robert King. Will be streamed live at YouTube.com/EOPLive. General Admission $15 in advance ($20 day of show). 7:30 pm. Tickets available here. Fri, Aug 3 – Home By Dark @ Chukkar Farm – Alpharetta, GA. 1140 Liberty Grove Rd. 678-665-0040. At Chukkar Farm, 1140 Liberty Grove Rd. HOME BY DARK is a songwriters in the round concert event unlike anything you’ve seen or heard featuring the best performing songwriters in America accompanied by the best instrumentalists on the planet. Hear the stories behind the songs and witness powerful performances as honest and as authentic as they come…from the songwriters themselves. Also featuring Tony Arata and the best house band in the world. Generad admisson $23. Sat, Aug 4 – Home By Dark @ Chukkar Farm – Alpharetta, GA. Same awesomeness as above! Fri, Aug 17 – Harris Bridge Folk Festival – Philomath, OR. 22937 Harris Road. Join us for the Harris Bridge Folk Festival on Aug. 17th – 19th, 2018! This is a family friendly event that will span the whole weekend filled with music, camping, swimming in the river, food from Burnheimer Meat Co., games on the grass, and a jaunt up to the Summit Summer Fest on Saturday! With music all weekend by BW, Paper Wings, DTW, Tyler Stenson, Mandy Fer & Dave McGraw, Jeffrey Martin and Anna Tivel! Paper Wings will kick off the evening on Friday, followed by BW. For a full weekend pass: chick here. For a single day pass: click here. BW plays at 6 pm. Wed, Aug 22 – Live @ Lunch – Bellevue, WA. 555 110th Ave NE. Bellevue Downtown Association presents Live at Lunch – a free summer outdoor concert series. BW plays at noon at City Center Plaza. Guess what, I wrote two songs with my dad!! It was so much fun and hmmm…maybe this is the beginning of something!? Ahhhh, big sigh… This was my beautiful home nestled in the trees at Fistrap gathering of writers near Joseph, OR. It was such a wonderful retreat, and I got to work with some great songwriters and hear many authors read their work. So good for my spirit! This is the background for the stage at East Fork Brewing in Joseph. Wowza! Oh my heart, these cuties! This is CJ and Patches (I’m not sure Patches was into it), the greeting committee in Rapid River, MI. And THIS guy. This is my boyfriend Kevin who lives with Chris & Annette near Marquette, MI. Kevin is cute but Dicky really runs the entire show, basically with her ears. Check out the poster for this year’s festival by the awesome Dennis McGregor…I can’t WAIT! 4. THE FUTURE… I am so excited for the official release of THE LONG ROAD!! It has been a long road indeed and I am so proud of this work we created. I’ve got wonderful shows coming up this fall in OR, NC, WA, KS, CA, and FL, and I can’t wait to make the rounds in support of this album! My wonderful time at the Fishtrap gathering has me dreaming about teaching more and developing more workshops. I look forward to exploring that very rewarding work further in the future. As always, I hope to see you and your friends out there the road. Thank you for believing in what I do. It means everything!